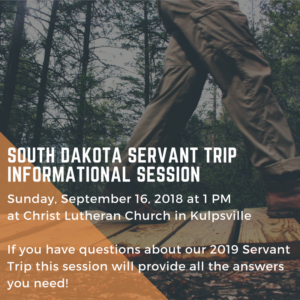 Sepa Youth | South Dakota Servant Trip 2019 Registration Now Open! 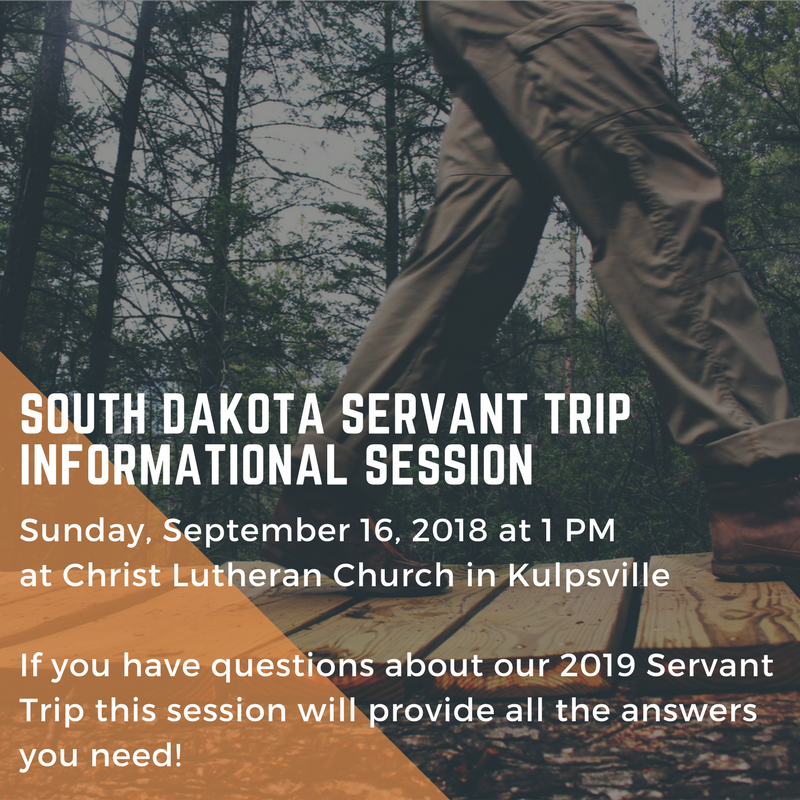 Join us for our 2019 Servant Trip in South Dakota on July 12 – July 21st 2019! CHAPERONE INFORMATION: We will need 1 volunteer chaperone for every 9 youth joining us. If you are over 25 and feel comfortable driving a caravan at speeds of up to 70 MPH (normal speed limit in South Dakota) please let us know in your registration form. Check out our pre-registration packet for more information on daily activities!